While victims of the 2011 earthquake and tsunami continue to struggle with housing issues almost two years into their ordeal, a group of refugees from an earlier natural disaster has been given notice that they will soon be on their own. Ever since the 18th anniversary on Jan. 17 of the Great Hanshin Earthquake, various media have reported on the notifications distributed by local governments to residents of 6,600 rental units saying that they have two years to vacate their apartments. These people were living in public housing for low-income residents when the earthquake struck in 1995, and most of their dwellings were destroyed, so the governments of Hyogo Prefecture and six cities made contracts with private landlords. The residents paid as much rent as they could in accordance with their incomes and the local governments made up the rest. The deal was limited to 20 years, which means that between 2015 and 2017, depending on when they moved in, the tenants will have to move out of their current apartments, either to public housing or somewhere else. Most of these people are elderly, and the public housing (shiei jutaku) that has been built in the meantime tends to be located far from where they presently live. They are reluctant to move at their age, having formed bonds with their neighborhoods and their neighbors, which are extremely important in terms of mental and physical well-being. The authorities say they have given the tenants ample notice. According to an article in the Tokyo Shimbun, announcements were first distributed in 2010, and the contracts the residents signed when they first moved is stipulated the 20-year limit, though supporters of the tenants point out that this term is vaguely stated and buried in small print. Most of the apartment buildings were hastily constructed by developers right after the earthquake in anticipation of just such a need for low-income housing. With local governments guaranteeing the rents of tenants, it was a virtual goldmine for landlords, which include semi-public housing juggernaut UR, and one can easily imagine that the landlords are fully supportive of the residents who are protesting the pending evictions since they themselves will lose revenue as a result–the rental housing market is not in good shape. The mayor of Nishinomiya recently received a petition with 3,251 signatures. 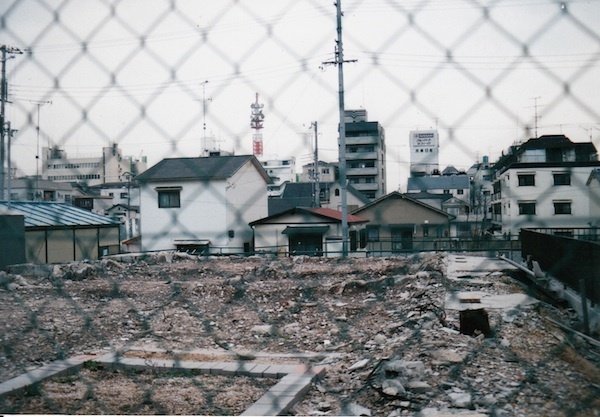 The local governments have said there’s nothing they can do about the situation since the 20-year limit is built into the civil code and Public Housing Law, even though the law itself was revised right after the earthquake to allow commercial properties to be used for public housing (kariage fukko jutaku). Some media, including the Japan Communist Party organ Akahata, mention that the controversy has ramifications for the current situation in Tohoku. As in Hyogo, private developers have been invited to build rental housing for people who lost homes to the tsunami or nuclear disaster, and apparently the authorities learned their lessons in Kobe because they are explaining to tenants that there is a 20-year limit. Of course, in Tohoku there are considerations that people in Kobe didn’t have to worry about, so at the moment a 20-year lease may be the least of their problems. How you can really be “passive” landlord — profiting without doing any back-breaking work, taking any late-night phone calls, or dealing with any nightmare tenants.